Jordan Caceres, better known as Reverie, was born on April 12, 1990 & raised in Highland Park, LA. After graduating from Benjamin Franklin High School, she released her first mixtape, Castle in the Air, in 2009 at the age of 19. 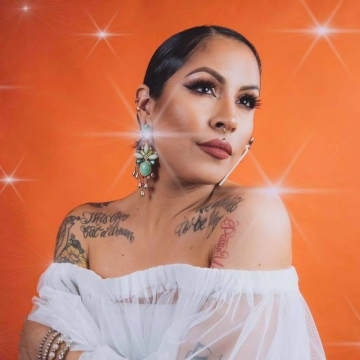 With the notable ability to spit lyrics, making art and connecting people by sharing the energy of her songs, Reverie has been pushing her rap out to wider audiences over the years. Regularly tours all over Europe & USA has also dedicated fans around the globe. Nowadays she and Louden make a pretty authentic underground hip-hop gig that we can't wait to have here. Get the absolute best in hip hop, art and good energy with Reverie & Louden. They will be laying down some killer beats to all us lunatics of Rap.